I have two roles. The first is to look after the volunteers and my other role is to work on the activity plan which involves engaging with different communities around Reading, and different rural communities around the country. 2. How has your job changed since the museum closed for redevelopment? My job has changed significantly. It used to be entirely focused on managing the volunteer programme but we’ve now recruited an Assistant volunteer co-ordinator, Rhiannon, who does that. I now support my colleague Phillippa who is the Audience Development Manager. We are currently working to engage community groups with the new museum when we re-open. 3. Are there specific community groups you work with regularly? Yes, there are several, for example Reading Mencap, The Three Cooks, the Rising Sun Arts Centre and Reading Chinese Association. 4. Do you think museums are doing a good job with working with communities and integrating into society in general? I think it’s a case to case basis. I think with the changes in the country as well as with government and funding, museums are now reaching out to their communities so there is a lot being done in the sector as a whole. Here in particular we’re doing loads. 5. What is the most rewarding aspect of your job? We often see people volunteer with us and then move on to a career they want to go in to, which is brilliant. Another aspect is meeting all the different people in Reading, getting them involved and working with them. 6. What is the most challenging part of your job? It can be quite exhausting so I do get tired quite a lot in the evenings. I find myself having to go to bed earlier because I’m also running about and having too much fun in the day! 7. What have you been up to this week? This week has been a great week. Yesterday I was at an annual general meeting for the charity Reading Voluntary Action. I’m a Trustee, but we also work with them here so we often recruit volunteers through them and use them for campaigning and support. 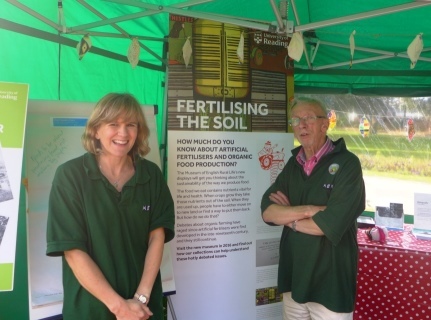 I have also been chatting to a few community groups as well as putting plans together for our future allotments. 8. Do you have any upcoming projects you’re working on? At the moment I am working on the Sew Engaging project. 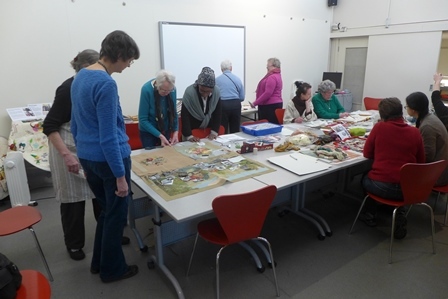 We’re asking community groups to do some tapestry based on what they think the countryside is and I’m currently working on the MERL film project which is coming soon, along with the garden and allotment projects. 9. What does your normal day to day look like? I usually get in around 8:30am after cycling in so normally I have to get my suit on and then I make a cup of tea for the team. Then I go through emails and start work. Often I find myself running off to a meeting or about to head off with Philippa to a community group somewhere in Reading. 10. 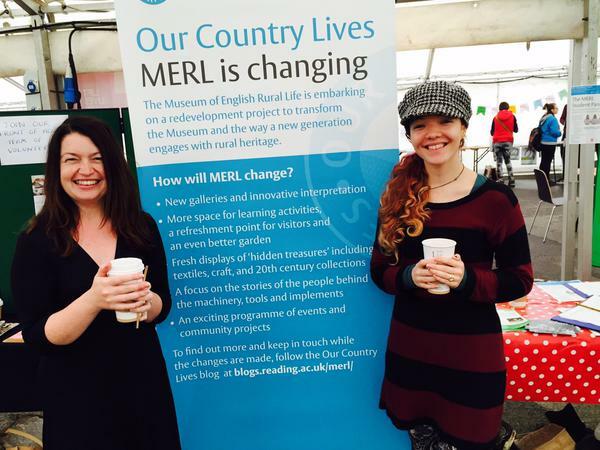 What do you love about working at MERL? I’ve been here for five years and haven’t wanted to leave. There is such an amazing staff and volunteer spirit in the building that embodies the work ethic. Everybody works so well and is passionate about what they do. Also the collections are amazing. I do admittedly have a soft spot for the Mills and Boon books in the Special Collections! 11. Any tips for anyone wanting to work in a museum? Volunteer with your local museum, archive or National Trust Property. Be willing to put in time. Try out a variety of roles as well because you might think you want to go into curating but actually you’re better suited to marketing or community engagement. Build good relationship with museum professionals as they will point you in the right direction. You can also do Museums Studies as part of your degree which we offer at University of Reading. So what are you waiting for? Pay us a visit and take this special opportunity to explore our Landscape Institute collections with us. The Landscape Institute was founded in 1929 as the Institute of Landscape Architects. As the Royal Chartered institute for landscape architects, the institute works to improve the planning and design of the urban and rural landscape, accredit university courses and promote the professional development of landscape architects. The Institute built up a collection of library books and archives relating to the practice of design and management with the purpose of creating a national landscape collection. The library was formally established in 1967. Acquisition of the archival collection began in the 1990s, as landscape architects died and their collections were bequeathed, donated, or actively collected by the Institute. 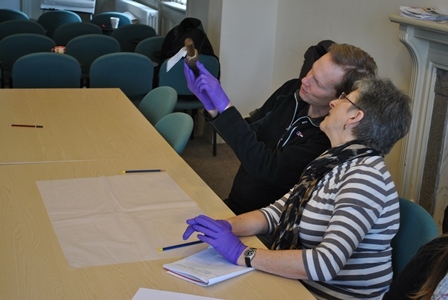 Access to the collections was initially for Institute members only, but over time researchers and the wider public have been using the collections in all manner of work. 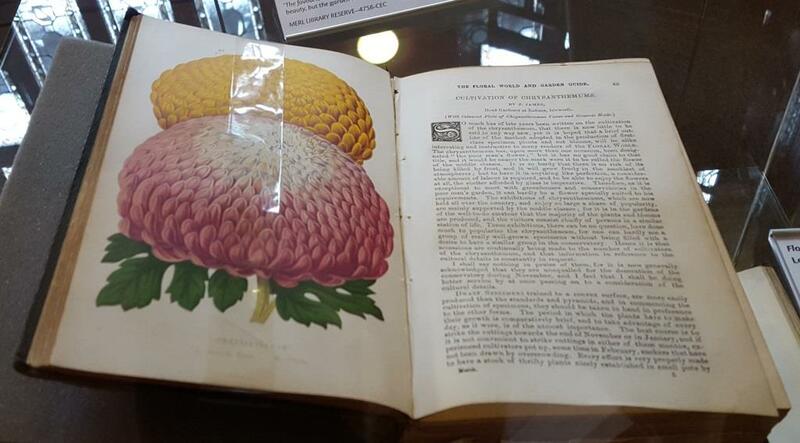 The MERL library and archive teams are working to make this large and varied collection freely available to the public once again. The library contains books and journals on topics including landscape architecture, garden history and landscape and urban planning. The archive contains a variety of material relating to the Institute’s history and the collections of individual landscape architects and their practices, such as Geoffrey Jellicoe, Peter Shepheard, Sylvia Crowe and Brenda Colvin. We hope you enjoy this display of treasures from the collections, including rare books and archives. The exhibition will also be moving up to the University Library later in the year (Wednesday 6 April – Friday 1 July). It also featured on p. 14 of the University of Reading Spring 2016 Events Guide. 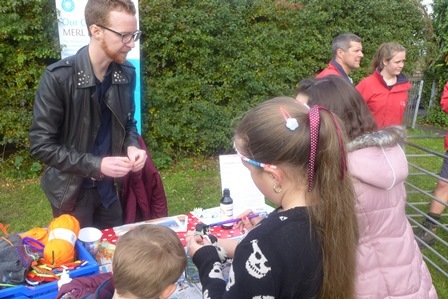 As part of the Our Country Lives Activity Plan, we have been working with local Reading audiences to establish links with our neighbours and develop long and sustainable relationships. A ward we’ve spent a lot of time working with this year is Katesgrove. 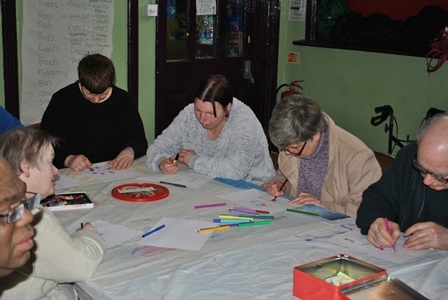 We’ve been working with the excellent organisation Katesgrove Community Association (KCA), a grassroots community group run by the people of the district for the district and they carry out incredibly important work. 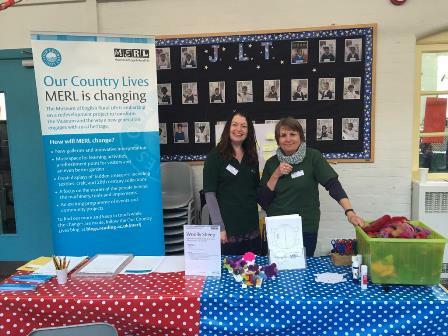 We attended the Tea and Toast session and the May Fair at Katesgrove primary school; we chatted to parents and children alike about MERL and the Our Country Lives project. We were invited to the Knit and Natter session held at Waterloo Meadows Children’s Centre, chatting to local residents and working on our tapestry for Sew Engaging with them. We in turn hosted their Christmas party at MERL, a great opportunity to show residents who have never visited before a behind the scenes tour of the building works. During the October half term Phillippa and I attended the Aveley Walk play street. We made bats with the children for Halloween; met lots of residents in the local area and also had a great time meeting all the animals from the petting farm. To celebrate Christmas,myself, Phillippa and our volunteer Steffanie, attended the Katesgrove Community Association Christmas Fair. Not only did we meet Father Christmas, but we had the opportunity to meet lots more residents and ask them what they thought about MERL and the countryside. Within the Katesgrove area is the Rising Sun Arts Centre, an organisation we’ve been working on partnership projects with for the past three years. The Rising Sun delivers a vital service to many, running all sorts of sessions and classes and is mainly a volunteer-run organisation. This year they’ve been part of the Sew Engaging project. Their contribution will make a substantial part of the final project display. We’ve also hosted some of their groups at MERL, providing them with a behind the scenes tour and discussing the issues of living and working in the countryside. In 2016 we’ll be continuing to build on these relationships within the Katesgrove community. We’d like to thank everyone for welcoming us into their groups and events. In particular Abby Knowles from the Katesgrove Community Association, Larry Watson from the Rising Sun Arts Centre and Caroline Uwais from Katesgrove Primary school. Plough Monday falls on the first Monday after the twelfth night of Christmas, which is also the night of the Epiphany. It marks the beginning of the English agricultural year and when ploughmen traditionally returned to the fields to prepare the Spring crops. Still celebrated in some parts of the the north and east of England, the tradition is to trail a plough around local houses to collect money to pay for a community feast. If the person or household is unwilling to contribute then the assembled ploughmen and ploughboys, usually in fancy dress and blackened or reddened faces, would turn their doorstep over with the plough or cut a deep furrow in front of their door. 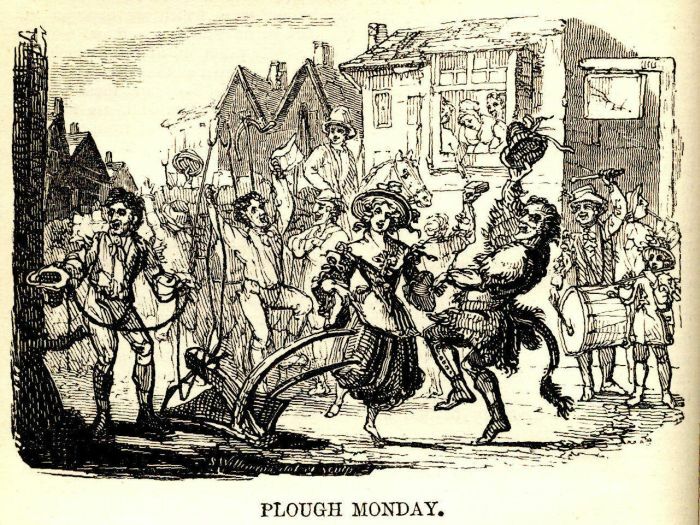 The celebration of Plough Monday dates back to the fifteenth century, and it may have grown from an older, pagan tradition marking the beginning of Spring (though there is only slight evidence). While the specifics of each celebration may differ, it is the exchange of money which crops up again and again. It is thought that the money taken in by plough teams would help maintain a ‘plough light’ in the local church, but after the Reformation this tradition fell off and the money began to be used for festivities instead. What is interesting about Plough Monday is how a fairly odd tradition was so prevalent across Yorkshire, Lincolnshire and East Anglia but is rare in the rest of the country. Peter Millington has an interesting discussion of various hypotheses on his website, including whether it was an imported Danish tradition, was established as part of Danish Law or was connected with the establishment of the Archbishophric of York in the eleventh century. Whatever its origin, it is a delightful slice of English rural life and you can find out if there is an event near you here. Plough Monday in Whittlesea. 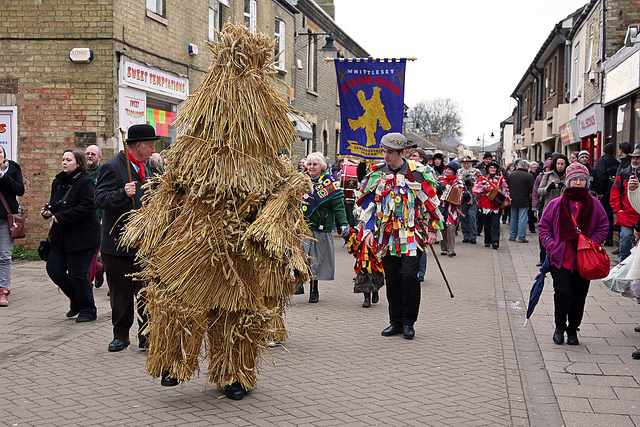 Cambridgeshire, includes a Straw Bear too! 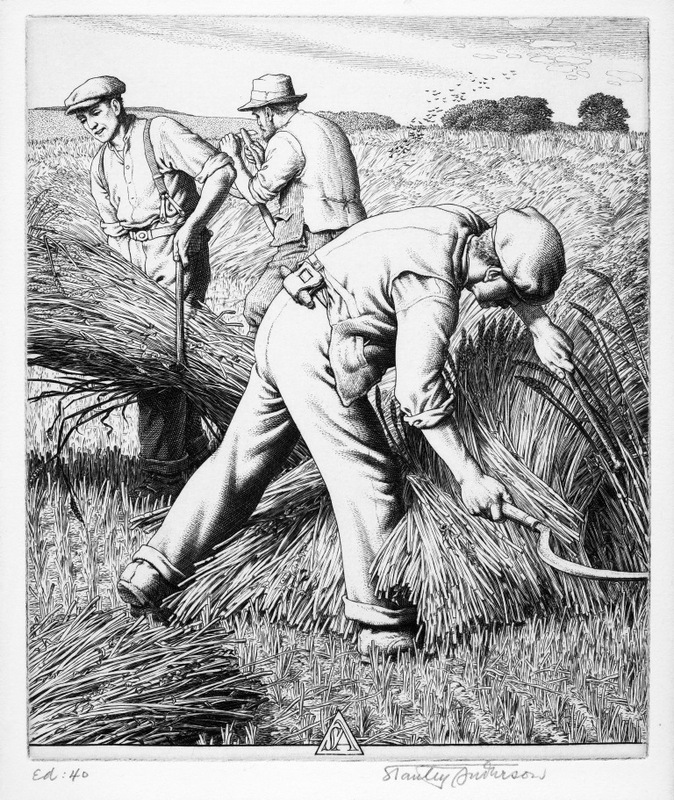 The Museum of English Rural Life has acquired 6 engravings for the collection, by print-maker Stanley Anderson RA (1884-1966). The acquisition was supported with the help of the Art Fund. We were the successful recipients of an Art Fund grant, enabling us to purchase the artworks at auction in December 2015. 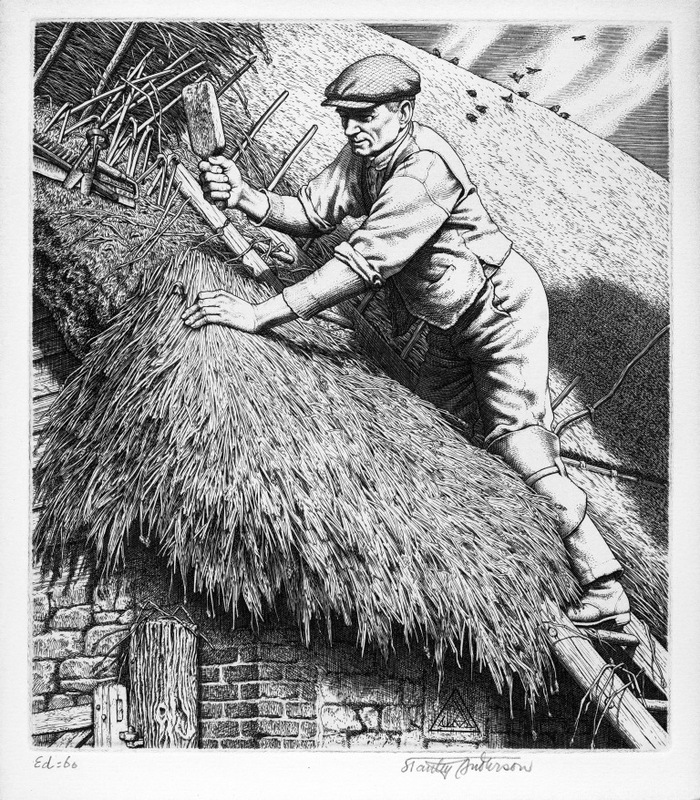 The Museum acquired a number of prints from Anderson’s ‘English Country Crafts’ series: The Thatcher 1944, The Rake Makers 1948, The Sadler 1946 and The Basket-Maker 1942. As well as two further prints: Eventide 1937 and Windswept Corn 1938. These new additions complement the existing holdings of Anderson’s work in the Museum collection (Making the Gate 1934, Three Good Friends 1950, Good Companions 1951 and Sheep Dipping 1934). Royal Academician, Stanley Anderson, was an English painter and print-maker. He is best known for his prints featuring workers and craftspeople of traditional farming and handiwork practices, of which the English Country Crafts series (1933-1953) is most prominent. Arguably somewhat marginalised, Anderson’s printmaking career spanned nearly half a century and he is now attributed as being a key figure in the modern revival of line engraving. Engraving involves the incision of a line (a design, lettering or image etc.) onto a hard, flat surface. This forms an intaglio printing plate. The printing plate is covered in ink; the incised lines hold the ink. Paper is placed over the plate and compressed by a heavy roller. The compression transfers the ink from the plate to the paper, producing a print. Multiple prints can be produced, making multiple editions. Between 1909-1963 Anderson exhibited 183 works at the Royal Academy, he was the sole representative of British engraving and dry-point at the Venice Biennale in 1938, and was later awarded a CBE in 1951 in recognition of his contribution to the arts. Anderson began his career in 1884 as an apprentice to his father who was a trade engraver in Bristol. Over the course of a seven-year apprenticeship he studied ornamental and armorial engraving, working on domestic wares. 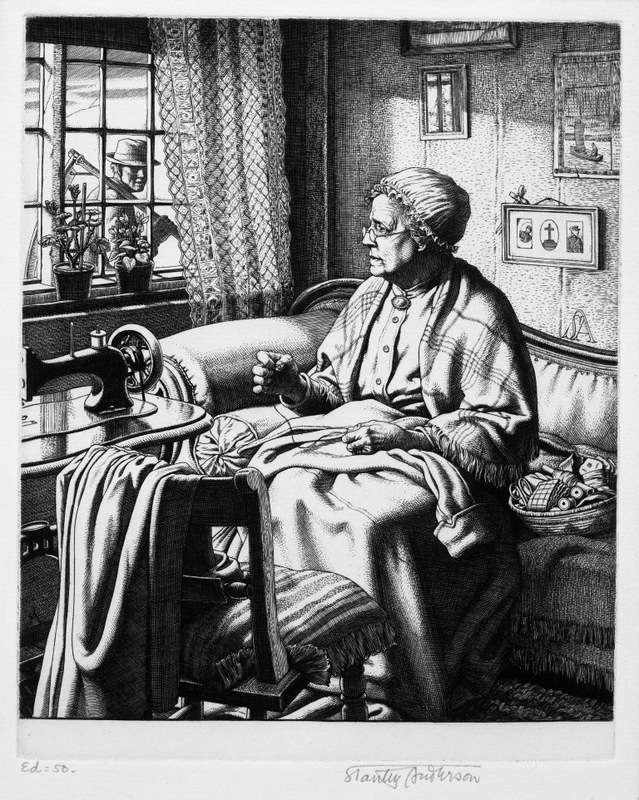 With a desire to move to London, Anderson won a scholarship for engraving from the British Institution. This funded his studies at the Royal Academy of Art where he studied under Sir Frank Short RA, an advocate of a Whistlerian tonal aesthetic. His early career was defined for the most part by cityscapes but, after the interruption of war, Anderson took a commission from a commercial printer to produce – in large editions – prints of landscapes, historic buildings and landmarks. There is a growing appreciation of Anderson’s work. Last year, the Royal Academy produced an exhibition of his work ‘An Abiding Standard: the prints of Stanley Anderson RA’ and the associated publication of a comprehensive catalogue raisonné. A number of Anderson’s self-portraits can be seen in The National Portrait Gallery, together with an extensive collection of his work at the Ashmolean Museum. The English Country Crafts series may be seen to memorialise ways of English life – that were thought by many at that time – to be in danger of vanishing. Although his prints may convey a sense of nostalgia, we can say that Anderson was not yearning for the past. Instead, he was very much concerned with the present. His work represents a response to the myriad changes and mechanisations in society that he observed and so carefully documented. The English Country Crafts series, together with similar representations of farming, animal husbandry and traditional skills, depicted a range of subjects. His work demonstrates acute observations of an individual’s mannerisms, particularities and physical characteristics. Anderson captured many manual tasks that are now largely performed by machinery. He consciously recorded, and commented on, a disappearing and ageing workforce with striking detail. Later moving to a studio in Thame, Oxfordshire, Anderson knew and befriended many of the subjects featured in the English Country Crafts series. Anderson’s subjects lived and worked across Southern England, including Buckinghamshire, Gloucestershire, Oxfordshire, Hampshire and Dorset. This local geographic connection gives the artworks great significance for the Museum, being based in neighbouring Berkshire. Visual representations of country life such as these have become a core part of what MERL seeks to collect. Making the Gate depicts Thame-based farrier and blacksmith, Rupert Timms. On the back wall of his workshop, the designs for a gate can be seen pinned to the wall. Anderson himself designed this gate. This was in recognition of the diminishing demand for the blacksmith’s craft and in Anderson’s active promotion and diversification of alternative and sustainable blacksmithing skills. This print, as with others, is indicative of Anderson’s close affinities with, and appreciation of, manual workers and their craft. MERL’s interest in Anderson’s work is long standing. 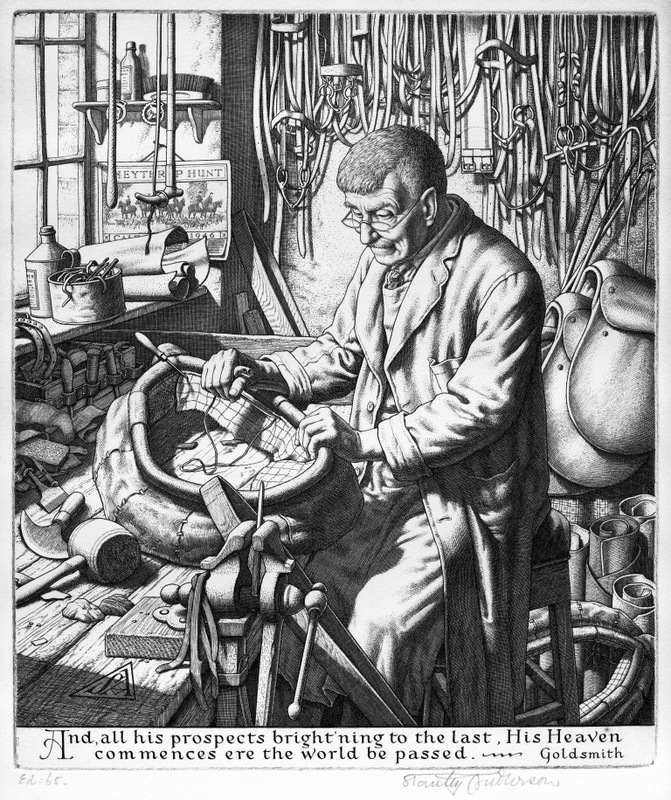 The Museum first exhibited Anderson’s work in 1958 in a temporary exhibition, ‘The Craftsmen and his Tools’. The Museum loaned 25 engravings directly from Anderson, which included 5 of the 6 engravings that we later successfully acquired through the support of the Art Fund. In the exhibition, these engravings were displayed alongside loaned craft tools from the R.A. Salaman Collection. The loan included objects such as a farriers’ tongs, a basket maker’s bodkins and a chair maker’s breast bib. “The engraving [of The Cooper] provided an almost complete guide to the trade. 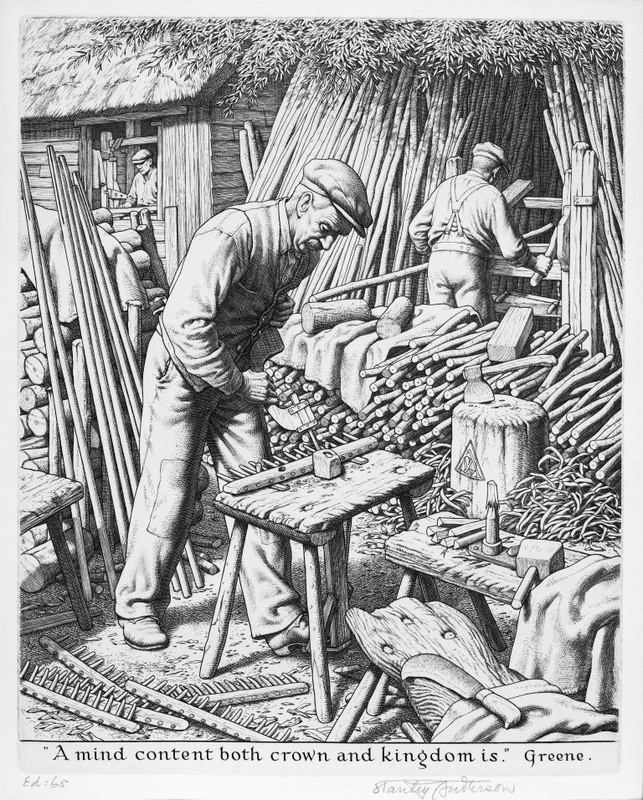 If you look carefully you will find truss hoop, heading knife, jointer, cresset, adze, chiv, downright, stoup-plane, auger, rushes for caulking, dowelling brace, bick iron, hoop-driver, and heading-swift” (Salaman, 1958 p3). 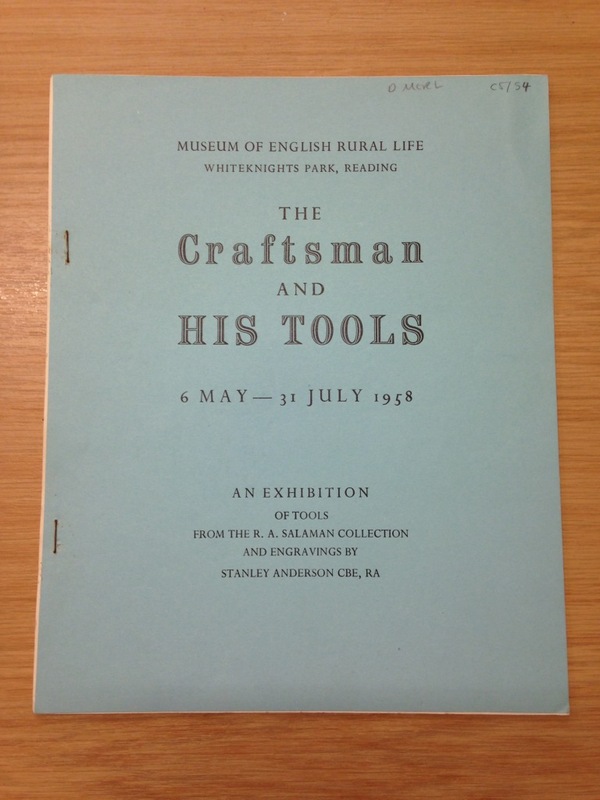 Front cover of exhibition guide ‘The Craftsmen and His Tools’. D MERL C5754. We can identify and uniquely interpret the stories of the crafts people represented in Anderson’s work through our artefactual collections. 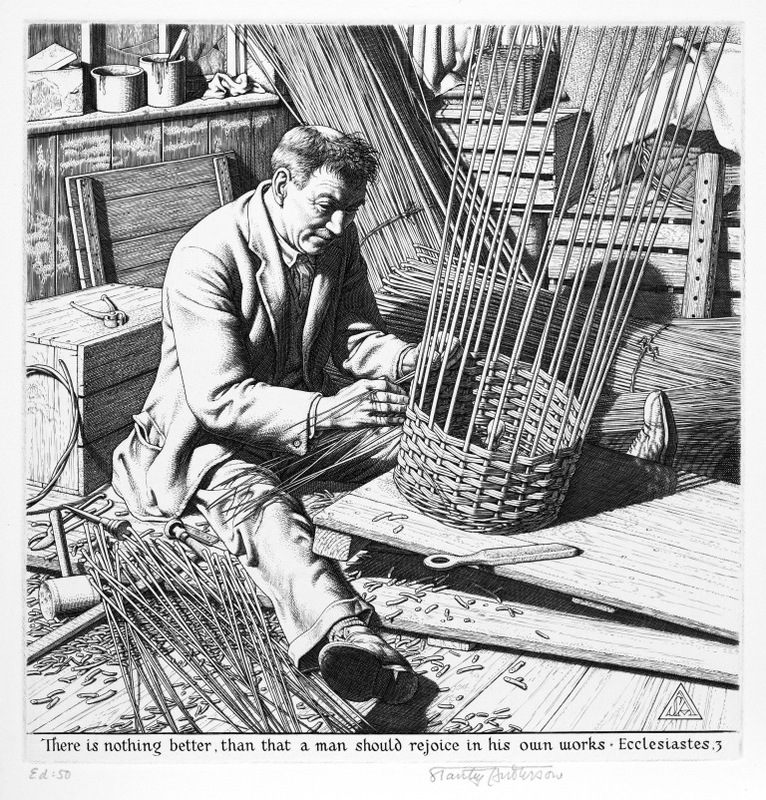 Stanley Anderson, The Basket Maker, 1942. © The Estate of Stanley Anderson. All rights reserved. DACS 2015. Thame-based basket maker William Youens Fleet is shown at his board making a half-bushel basket in The Basket-Maker, 1942. 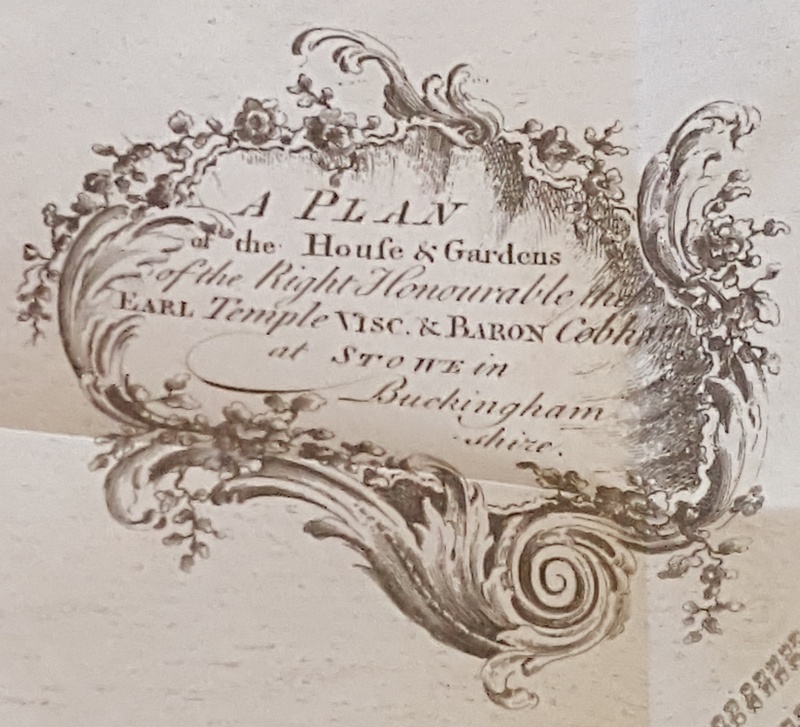 It is thought that Fleet was almost certainly related to the Maltby family who monopolised the chair seating industry in nearby High Wycombe, a centre of chair making. The Museum holds examples of Maltby-made seats and basketry. Basketwork chair. Object number 68/459. 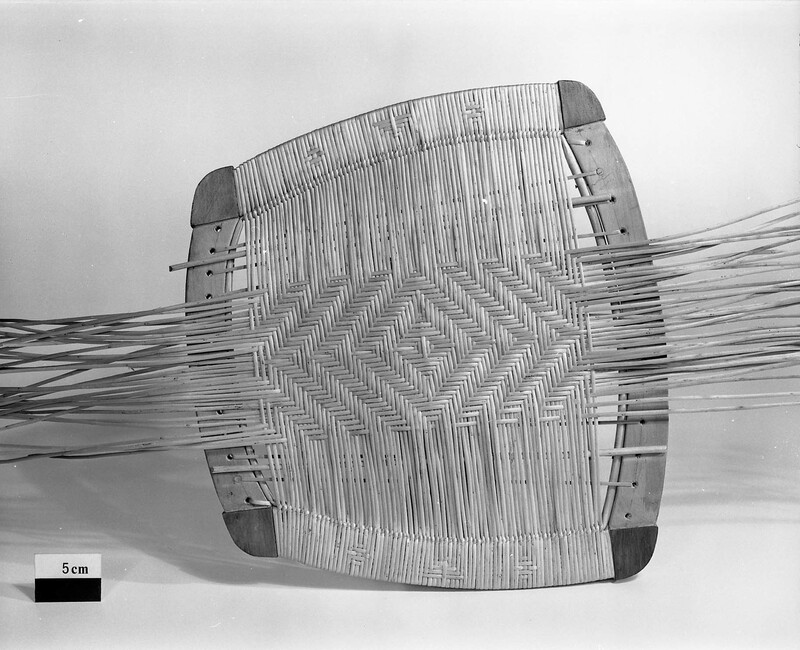 This basketwork chair seat is an example of the craft of willow chair seating. It was made by Leslie Maltby, it is made of willow skein on an ash frame with an under weave of chair cane. Basketwork willow bird cage. Object number 64/159. 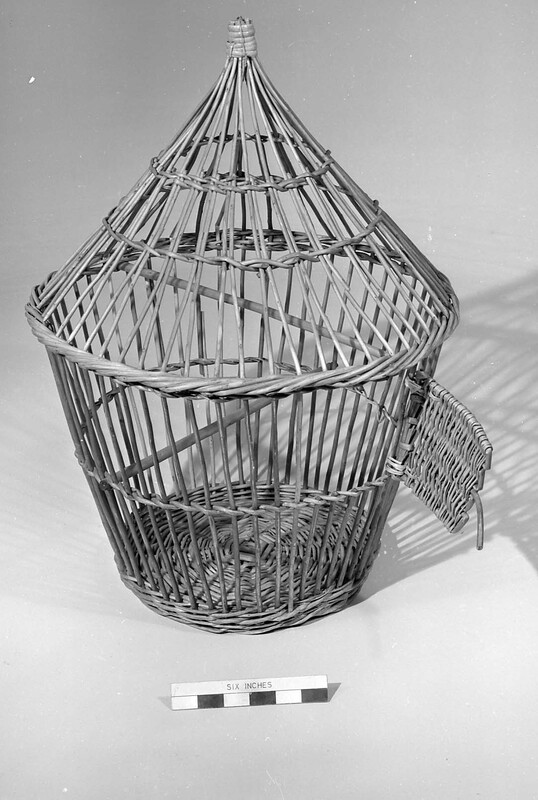 This basketwork willow bird cage was made by Leslie Maltby. It is round with a spire top and a door at the side, and would once have had a small platform outside the cage on which turf was placed to hold worms for food. 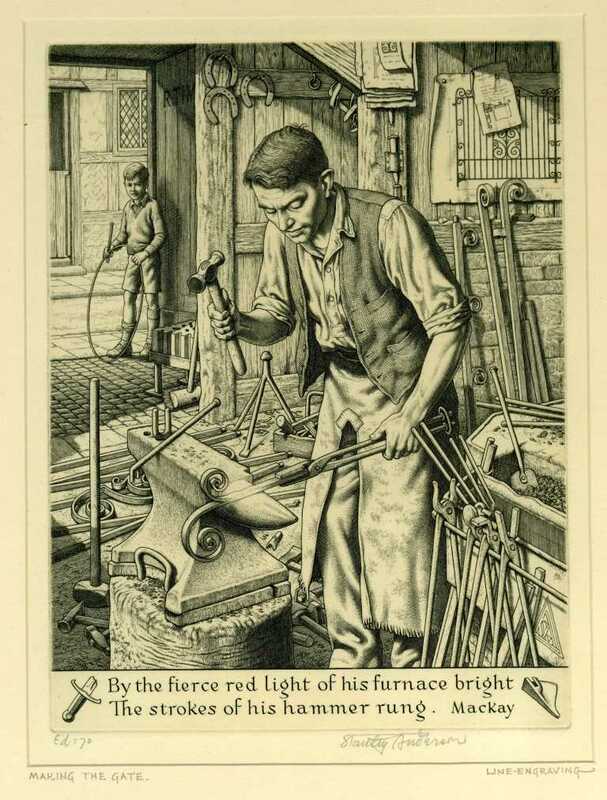 The rake makers firm depicted in The Rake Makers, 1948 is that of Ernest Sims of Pamber End, Hampshire. The Museum holds a number of rakes, rake parts, handles, and tools purchased from Sims. 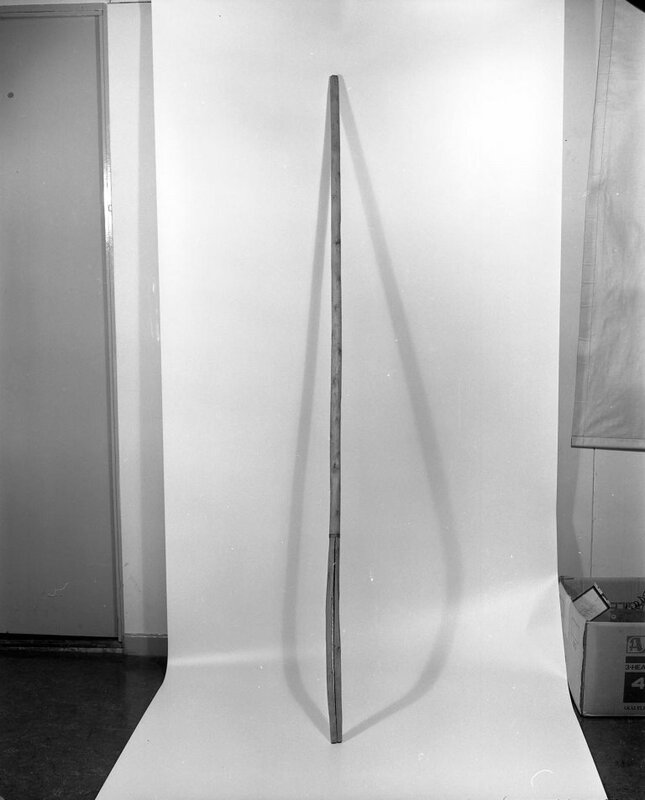 This rake was made in the workshop at Pamber End on the 22nd April 1953; it is only half-made, so that the stages of manufacture are clearly seen. 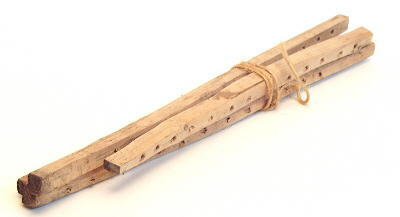 The rake is in two sections: the handle and the rake head. Rake heads. Object number: 83/2/1_10. Ten unfinished hay rake heads with holes drilled but no tines inserted. They are made of willow. They were purchased from Ernest Sims. We plan to display several of the newly acquired engravings in the Museum’s permanent galleries, due to open later in 2016 as part of the Our Country Lives redevelopment programme. However, the engravings can also be consulted by appointment. 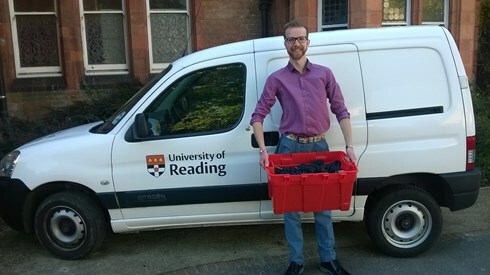 Please contact Art Collections Officer Jacqueline Winston-Silk for further details j.winston-silk@reading.ac.uk. We would like to thank the Art Fund, the national fundraising charity for art, for their support in helping to purchase the artworks. This marks the first occasion on which the Museum has received an Art Fund grant. We would also like to acknowledge their support in enabling us to devise a bidding strategy that ensured our success at auction.